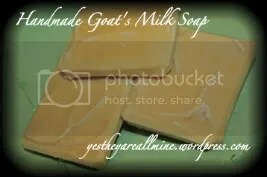 Click HERE to check out my fabulous soaps! 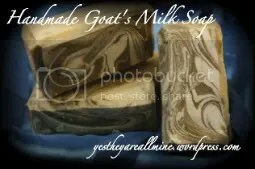 My soaps are made by hand in my very own kitchen. 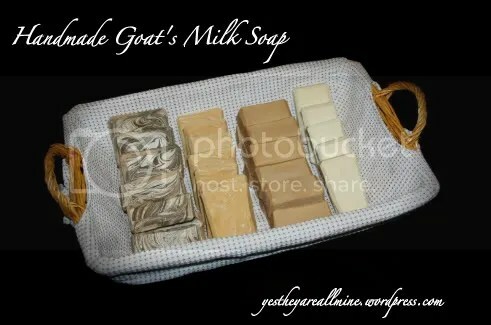 The only animal product in my soap is the fresh goat’s milk. While my soaps may look absolutely yummy, please do not eat them. They are for delighting your nose with wonderful smells, bathing your skin in vitamin E rich oils, washing away the grime of day, and just plain indulging yourself because you are worth it! I am constantly trying new scent combinations while still making batches of everyone’s favorites. The menu of delicious scent combinations is pretty ever changing so keep your eyes open for new ones! 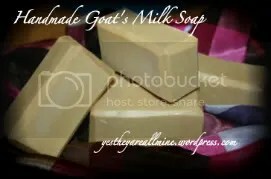 My soaps contain an array of vitamin E rich oils, including olive oil, that help to nourish your skin and retain moisture. Stress, dietary choices, environmental pollutants, medications and exposure to ultra-violet rays all take a toll on the health of your skin. Olive oil replaces the moisture and elasticity lost to these elements because it is naturally rich in vitamin E and other powerful antioxidants that have tremendous healing and preserving properties. I use no harmful dyes, parabens, SLS or preservatives. 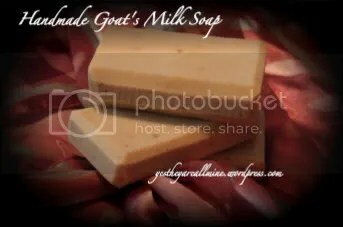 All of my soaps are scented with 100% pure essential oils. No fragrance oils or alcohol carriers. I welcome questions and scent/ scent combination suggestions! Just email me at cottonblossom424 at yahoo dot com. Please use “Soap Question” or “Soap Suggestion” in the subject line. Want to leave a review? Email me your thoughts and comments to cottonblossom424 at yahoo dot com. Please put “Soap Review” in the subject line. 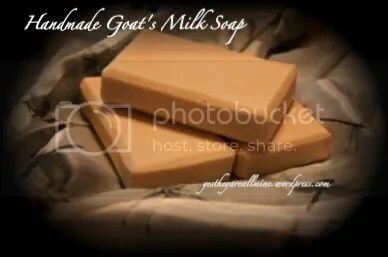 I am not a doctor, no claim is made that my soaps can treat or prevent any illness or disease. I simply inform you of the benefits the ingredients are reported to have.